When it comes to empowering adults to live full and productive lives, we couldn’t be more excited to help. That’s because at New Hope, our passion for helping people goes beyond a mission statement. We truly believe in what we do and the individuals we work with. 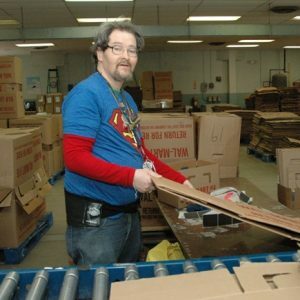 Through 10 different programs, we assist as many people as we can, from those who just need some help with job training to adults with severe disabilities. 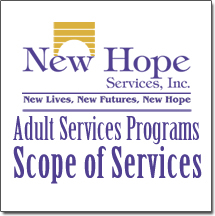 We specialize in bringing vocational and employment skills, adult daily living skills, self care, and community integration to the individuals we work with. No matter the situation, we’re here to tell you that there is hope.